The Lions and Tigers go ‘ROAR’! Pictures often communicate information more efficiently than words do (hence the famous adage), and that holds true in a small classroom in Western India, where children are discovering the alphabet, animals, fruits and vegetables through paintings and pictures. 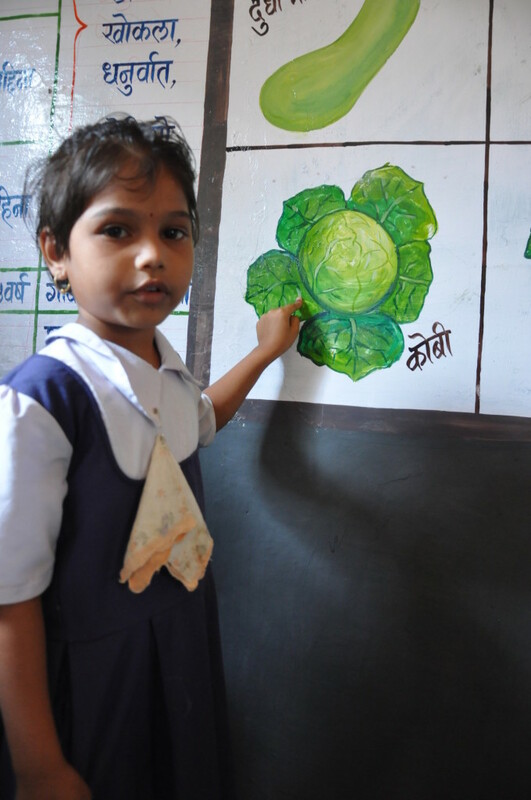 Four-year-old Vaishnavi showing a cabbage art at an ECD centre in Raigad district of India’s Maharashtra State. “Earlier, I could not tell the difference between a cabbage and a cauliflower…now, I know all the fruits and vegetables that we eat!” says 4-year-old Vaishnavi, one of the 30 children enrolled in an Early Childhood Development (ECD) centre in the Raigad district of Maharashtra state, where ChildFund works in 43 rural villages. “Cauliflower is my favourite vegetable, and it contains many vitamins,” she adds. Vaishnavi’s best friend, Ashok, is more interested in animals, particularly lions. He explains that the lion is the king of the jungle. “You know, a lion won’t kill other animals if it is not hungry,” the preschooler says, recalling a story that his teacher told them the other day. According to Dr. Virendra Kulkarni, program manager of PRIDE India, ChildFund’s local partner organization in this area, young children explore visual art with both a creative and a scientific eye. Shanta Ghatge, a tutor at the ECD centre, agrees: “Wall paintings, posters and other wall decorations not only make the classrooms look great, but they also make learning easy for children and remind them of concepts. Tutor Shanta Ghatge and children acting on a story at an ECD centre in Raigad district of India’s Maharashtra State. Ghatge, who has been an ECD teacher in the area for more than 20 years, says she follows a curriculum adopted by ChildFund to teach the preschoolers, and their routine includes examining paintings, writing, singing, storytelling, drawing and painting. Research has shown that participating in art, music and storytelling activities helps children develop language, mathematics and social skills. “These essential activities can help the young brain develop to its fullest capacity,” Dr. Kulkarni says. “In all our ECD centers, we use learning methods that are recognized as best practices for preschoolers. 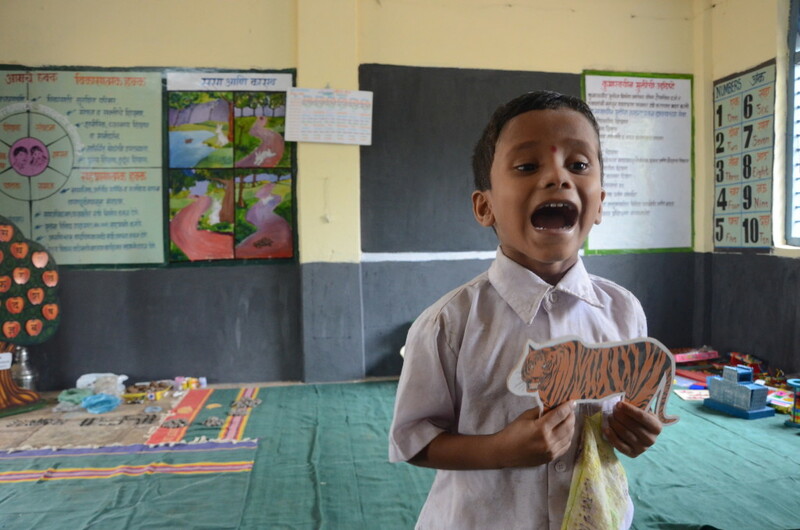 You Are Here: ChildFund Ireland > Blog > The Lions and Tigers go ‘ROAR’!